Just one of the many challenges for event marketers is managing the sheer logistics of getting everything for each event to the right place at the right time. One of our customers, a global healthcare company, manages hundreds of events annually, including tradeshows, regional events and sales-focused meetings. Their event marketing team needs to make sure that the right materials for each event get where they need to go and that they get there on time. The key to a better process for this company was centralizing all of their marketing materials in a single, central, cloud-based storefront – the OnFulfillment Marketing Asset Management system. They can access their MAM anywhere, anytime to order and then track their orders. Imagine your own personal Amazon website with all of the materials you need to order and ship to your events. First, the company stores their various booth materials – pop ups, banner stands and the like – at the OnFulfillment warehouse. These items are kept in inventory on their online MAM portal. If new materials are needed, we also have the capability of handling the large format printing, and then adding the new items directly to inventory. 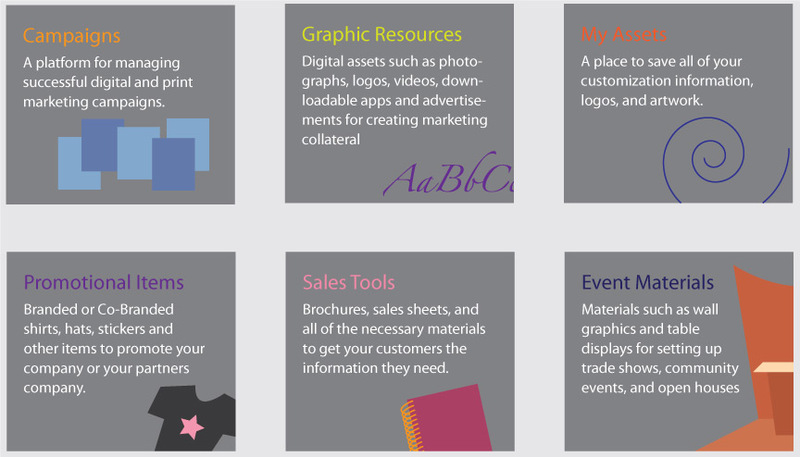 In addition to booth materials, printed materials are either kept in inventory (if high usage warrants) or are available as print-on-demand assets. OnFulfillment provides reporting and analysis to help the company decide what items should be printed in larger volume and stored, versus those that are more cost effective to print on demand. And finally, promotional items, such as pens, water bottles and other event giveaways, are also kept in inventory and available for ordering. But here is where it gets good – the company’s event managers are able to order and track items for each event they are managing individually in separate ‘shopping carts’. They can easily see what items are in stock, where booth materials are being shipped and when they’ll be put back in inventory. They can add brochures, sell sheets and other printed materials to their order, and they can also order promotional items as needed. Because they are typically planning many events at the same time, they can give each ‘shopping cart’ a unique name, and can save multiple shopping carts to track each event separately. And then when they are ready to ship, they simply “checkout” for that event, and track each order as it is shipped to the venue. After the event, booth items and signage, as well as unused printed materials are shipped back to OnFulfillment. All of the items are inspected, and then received into inventory where the event managers can see what is available on their MRC, all ready for the next event. The company’s former process used various spreadsheets and manual processes to track each event. By using their Marketing Asset Management system as a central tracking hub, the event marketing team saves time, money and frustration. Knowing exactly what has been ordered per event, having access to historical information per event, and having everything at their fingertips is priceless. If you'd like a demo of our Marketing Asset Management solution, please contact us.